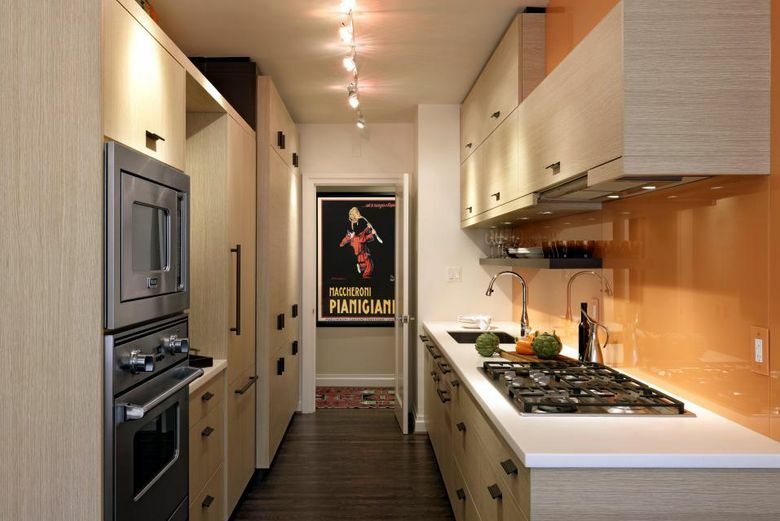 Huge kitchens are out as more people opt, once again, for galley kitchens that keep things simple. 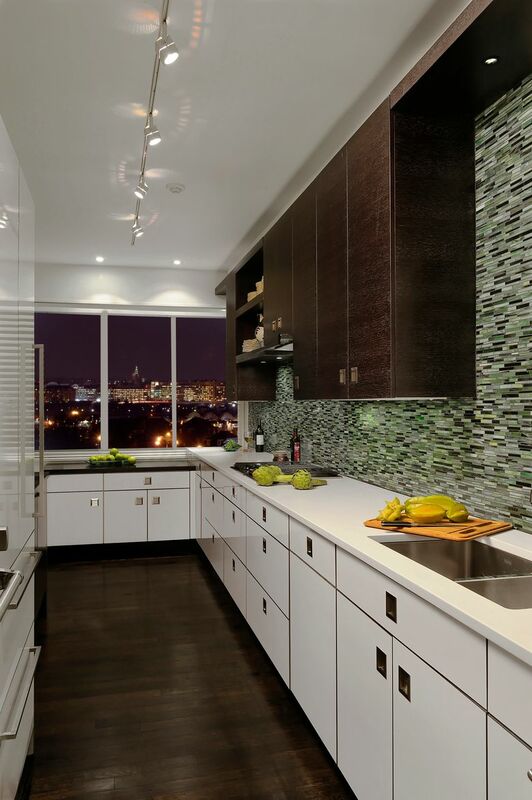 Kitchen designer Jennifer Gilmer of Jennifer Gilmer Kitchen & Bath, based in Maryland and Virginia, finds that 85 percent of new homeowners are choosing the cleaner, more contemporary and simple style of a galley kitchen. “People may have grown up in oversized houses with kitchens that were too large and poorly designed, so as a reaction they want smaller, more compact spaces,” Gilmer says. She makes a good case for galley kitchens: They allow you to work without the obstruction of an island or table. They also keep the work area smaller, which means less walking from one appliance to another or to the sink. And galleys are great for smaller homes or apartments because they take up less room than an eat-in kitchen. Dan McFadden, president of PB Kitchen Design in Geneva, Illinois, and president of the Chicago Midwest chapter of the National Kitchen & Bath Association, says another benefit of galley kitchens is that they cost less: “You’ll have fewer cabinets and fewer feet of countertop, so you can splurge on appliances, fixtures and hardware.” McFadden likes to use sleek built-in appliances with clutter-free controls such as Sub-Zero’s integrated refrigerators that sit flush with adjacent cabinets. For particularly small urban spaces, he suggests splurging on the Sub Zero 24-inch integrated column refrigerator/freezer. The super-slim unit has one door that conceals both the refrigerator and freezer; no horizontal lines means it blends into the rest of the kitchen design.